Rendition Homes | Affordable Custom Builder in Adelaide: 10 creative ideas on how to decorate your garden, by recycling. 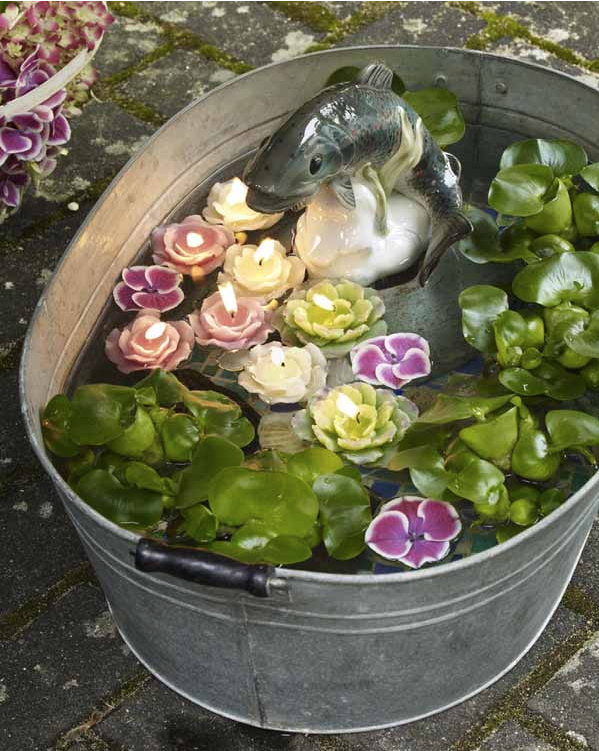 10 creative ideas on how to decorate your garden, by recycling. Summer is the most celebrated season, because summer it is more associated with life, birth and rebirth when plants blossom, and animal life reassumes activity and nature feels alive again. We are now halfway through summer and then autumn will come, to refresh us with its crisp air and dreamy nature. All seasons are magnificent but autumn is the most wonderful season of all. The temperature is just perfect, streets turn into colourful pictures as people drive to work, and the leaves into a melancholic and romantic reminder of another season gone by. What do I think when I hear the word autumn? I think of crisp refreshing air, mountains full of warm colours and people walking on a sea of leaves. Trees don’t hold hands anymore but seem to march in a melancholic solitude when we drive past them. Leaves change from green to orange, and from red to yellow. It is still a great season to enjoy and decorate your garden and celebrate the beauty of life. If you are a lover of both summer and autumn, follow me below with some garden decorations tips for this summer and autumn. 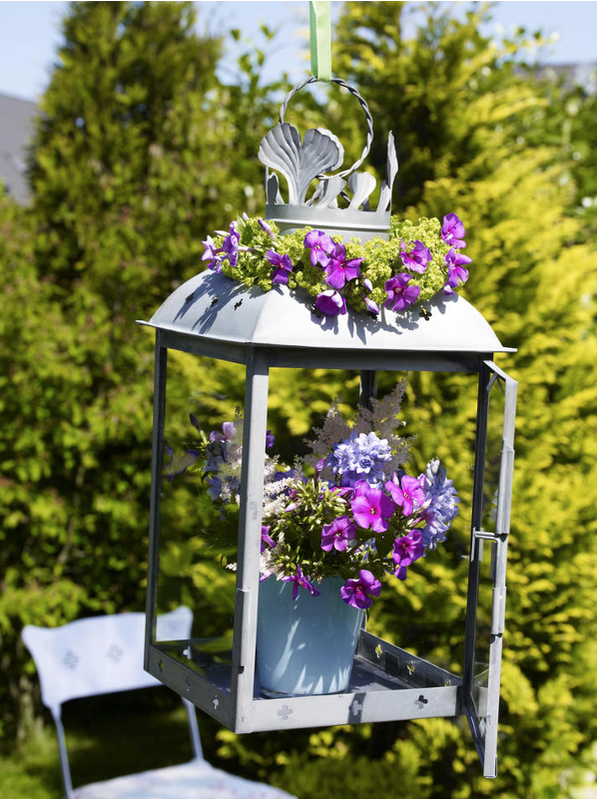 Decorate your old lantern with flowers when having friends over for breakfast, lunch or tea. 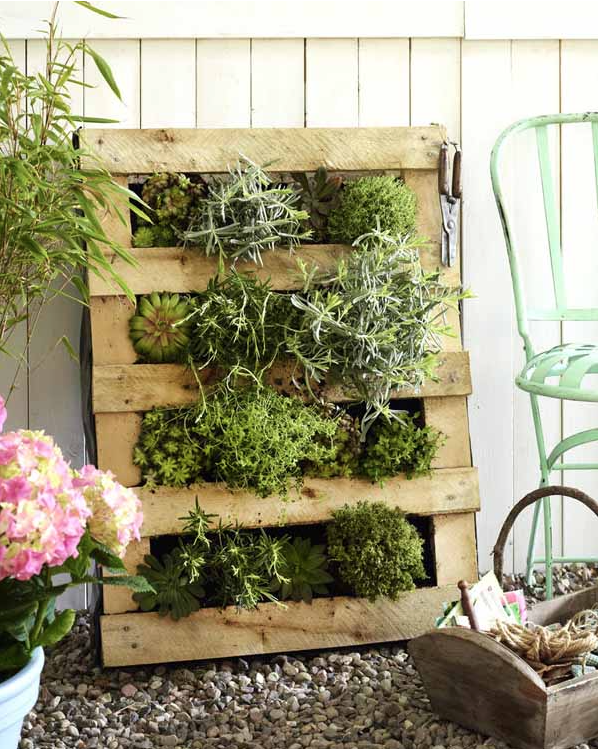 The vertical garden on a pallet, creates a natural and chic area. 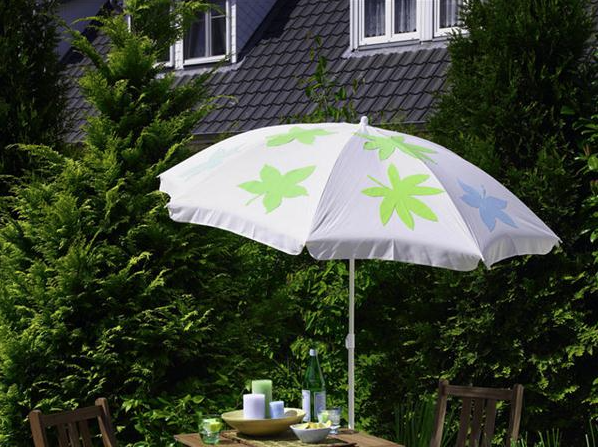 The floral fantasy gives a romantic feel to the outdoor area. 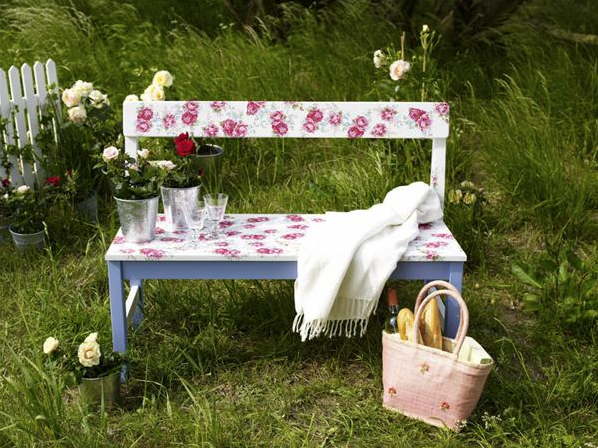 If you find it hard to paint the flowers, a plain white bench works well too. This one of my most favourite garden decorations. 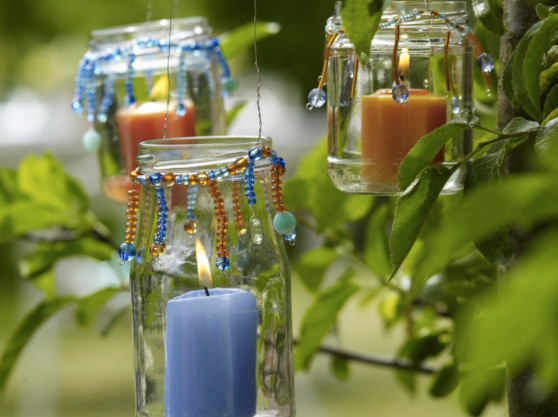 Hang your recycled jars and place candles in them. 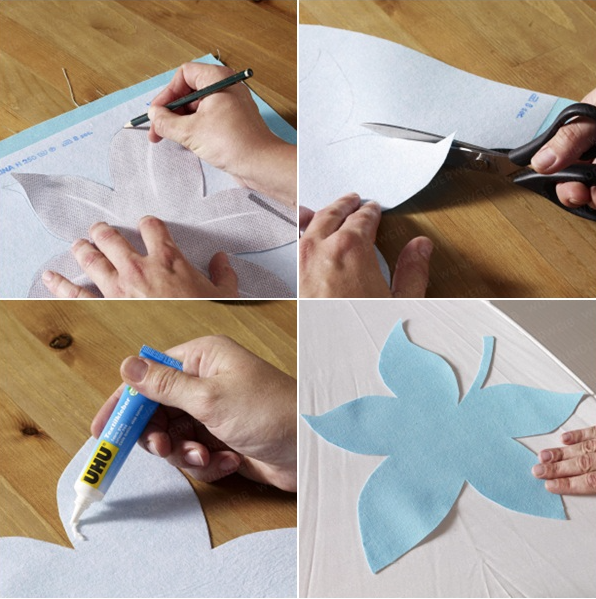 Use a white umbrella and decorate it with leaves made out of fabric. Use glue to stick them on it. 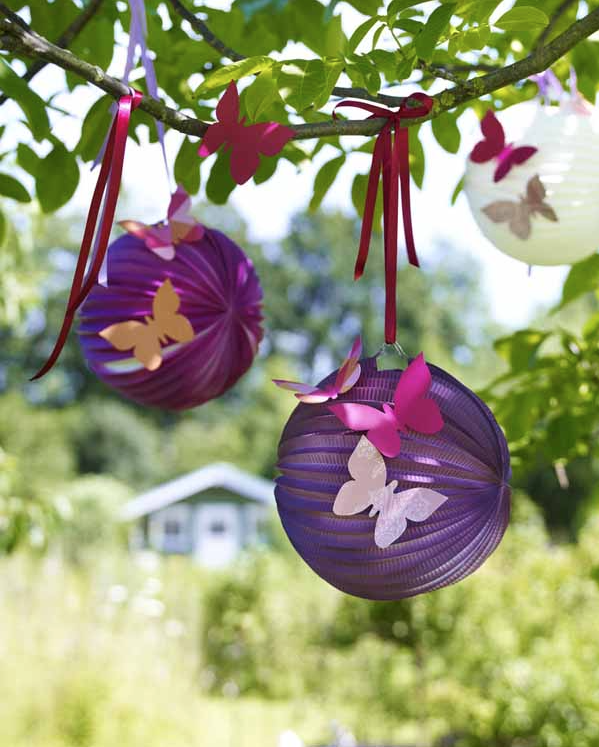 Get crafty and make some butterflies out of paper and stick them on the paper lanterns. 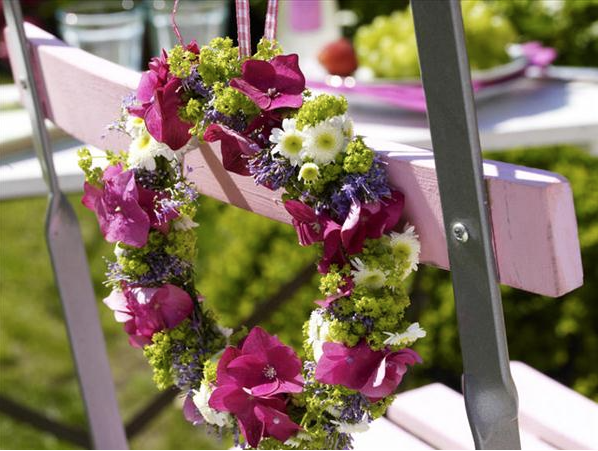 Paint and decorate an old chairs with a garland of flowers. 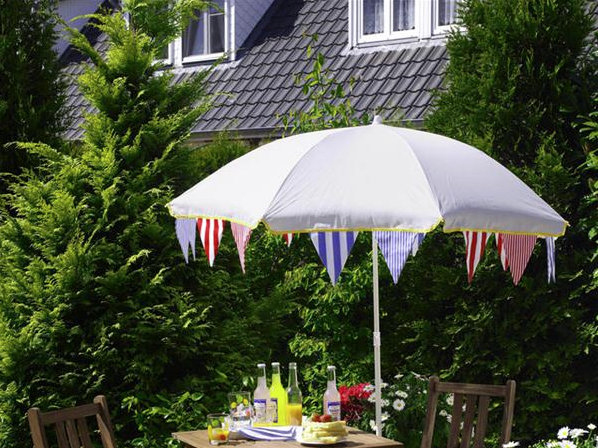 It will make your garden look special. 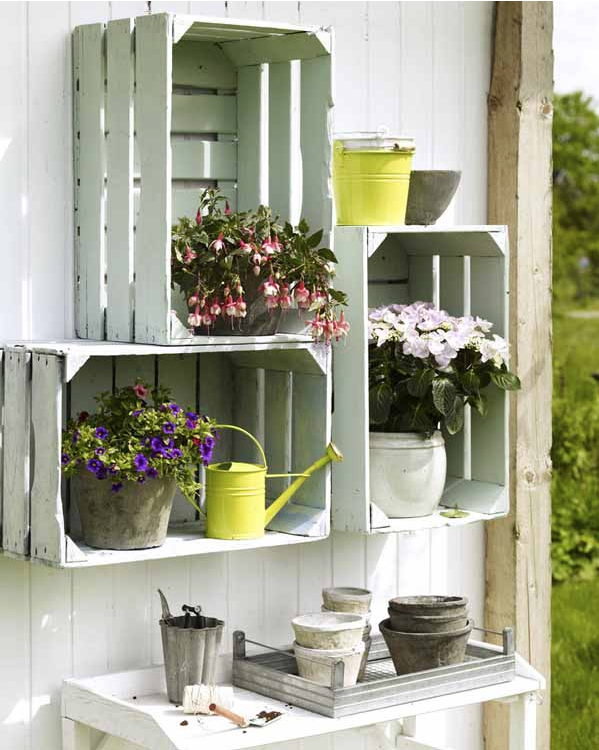 Lovely vertical garden greeting from Mons in Belgium.